Many Florida families include a child or adult with disabilities. When the level of disability makes the child or adult eligible for programs like SSI, Medicaid and other means-tested government programs, their families have often faced great difficulty in financially planning for the disabled family member’s future care and services. It is no secret that many disabled children and adults need special services and equipment that not covered by government programs. Yet a disabled family member receiving SSI or Medicaid could accumulate no more than $2,000 in a savings assets to maintain eligibility for these vital government support programs. Families with considerable assets often turned to special needs trusts (the subject of a later blog) to fund these expenses for the long term. These trusts can be expensive to set up and maintain and can also carry significant tax disadvantages. Until recently, families with more modest income and assets have had no way to sidestep the $2,000 cap on assets for SSI and Medicaid eligibility. Finally, federal and state law have moved forward to acknowledge what disabled persons and their families already know —- disability should not mean having to live on the edge of poverty. 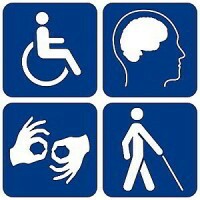 In 2015, the Achieving a Better Life Experience (ABLE) Act was signed into law in Florida, following the 2014 passage of a federal law, the Stephen Beck, Jr. Achieving a Better Life Experience Act of 2014. The federal and state ABLE laws allow a special tax-exempt ABLE savings account to be set up for a disabled child or adult. An ABLE account is similar in concept to a tax-exempt section 529A college savings account, but ABLE funds can be spent on a broad spectrum of disability-related expenses. Though Florida has not yet established the final administrative infrastructure and procedures to actually open an ABLE account, the process is underway. Here are a few basic facts about ABLE accounts that are already established. Most importantly, ABLE account assets up to $100,000 are exempt from the $2,000 cap on conventional savings accounts and ABLE monies spent on ABLE eligible expenses will not count as income in means-tested government programs like SSI and Medicaid. There are some qualifying limitations on ABLE accounts. A disabled family member can only have one ABLE account. To be eligible for an ABLE account, the disabled person’s disability must have occurred before age 26 and must meet certain other eligibility qualifications. There is a limit on annual contributions to an ABLE account. The current annual contribution amount limit is $14,000. There is no annual spending limit from an ABLE account so long as the ABLE funds are used for ABLE eligible expenses for the disabled beneficiary. Upon the death of the disabled ABLE beneficiary, unused ABLE funds in the account are subject to Medicaid payback requirements to reimburse Medicaid for services provided after the ABLE account is opened. The Law Office of Jeanne Coleman has a great deal of experience in working with divorce and post-divorce issues involving the special needs of disabled family members. Call her office today for a consultation regarding any divorce, dependency, or social security disability issue.